What parent hasn’t gazed upon their progeny in a moment of good behavior, creativity, or beautiful slumber and thought, here is my ‘self’ extended, my greatest creation, my art? Any such parental illusions of grandeur generally subside as the child’s individuality emerges and almost certainly prior to adolescence as offspring develop a disdain for all things parental. Then again, perhaps not always? Maybe sometimes the parental fixation takes firm root and grows into a family tree ripe with pathological fruit. 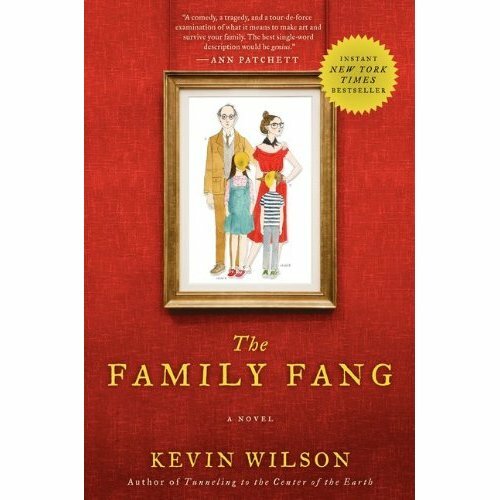 That is the premise author Kevin Wilson, who teaches fiction at the University of the South in Tennessee, presents in his wonderfully quirky and readable novel, The Family Fang (HarperCollins). And indeed, it is easy to suspend any disbelief given how convincingly Wilson anchors his case study in characters whose unbelievable-ness is rendered completely believable. Camille and Caleb Fang, the husband and wife team at the center of Wilson’s novel, are presented as performance artists so outré as almost to inhabit an alternate universe (as it happens, Hazzard County, Tennessee). Perfectly matched in the belief that all conventional art is dead, the Fangs dedicate themselves to the premise that art must move, must unfold in ways unknown and unexpected. In short, their performance pieces ambush the spectator to create chaos. That these pieces are frequently dangerous–staged shootings, near self-immolations, motorcycle stunts, fake robberies–is a risk Caleb and Camille accept as necessary to lives dedicated to creating art. The unexpected arrival of children, however–first daughter Annie and then son Buster–puts a crimp in the Fang master plan. That is, until the new parents discover that it is possible to intertwine family and art so tightly that they cannot be untangled. It is a seminal moment. Rather than parental concern, the new parents experience awe: Annie can make things move. Children, it seems, can be made into art. But even the best-matched artistic troupes can fall apart when one or more cast members feels excluded from the creative process. For the family Fang, that moment arrives via Shakespeare and a high school production (“More Woe, 1995”) that features the Fang siblings in starring roles (to say any more would be to spoil the fun). Soon A and B go on to separate careers–Annie, not surprisingly, to semi-success as a Hollywood movie actress, Buster to a lack-luster career as a freelance journalist and experimental novelist. Yet neither can escape the Fang legacy, an inheritance that seems to drive them in to acting on their worst instincts. Years later, after separate but equally spectacular career blunders, the siblings are brought together again under their parents’ roof and soon find themselves unwitting participants in what looks to be another Fang piece–perhaps their parents greatest yet–that may or may not have been planned. Angry at what might be another artistic shut out, fearful that their parents may actually have abandoned them physically as well as emotionally this time, A & B undertake detective work aimed at thwarting what they hope is supposed to be their parents artistic masterpiece (much of what follows in this section of the novel falls into red herring territory but is nonetheless entertaining). Without giving away too much about the novel’s conclusion, Wilson provides some evidence that Annie and Buster have begun to emerge from their abnormally prolonged adolescences. As is often the case when children negotiate the transition to adulthood, the Fang siblings are increasingly shaped by their meaningful peer relationships. Apparently there are ways and means (like maybe falling in love?) 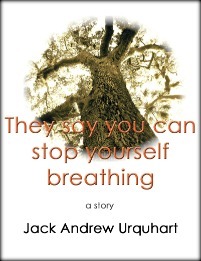 of giving way to one’s worst instincts–instincts that run deep in the Fang gene pool–and still surviving. “It’s a sad world. It’s unforgiving,” the lyrics proclaim. “Kill all parents, so you can keep living,” its sometimes metaphoric, and sometimes not, admonition.